Really? David Brent is just amazing in The Office. Is it too subtle for you perhaps? I don't know a better character on television, British, American or otherwise. Nothing to do with subtlety, just personal taste. I just find Gervais annoying in anything, anyway. That's okay because every episode is exactly the same. That is sig material, although it's such a good post that I think sigging it would detract from how great it is. I really like Manchild, Spaced and all the Simon Pegg stuff. As so much more! Does anyone else have this book? 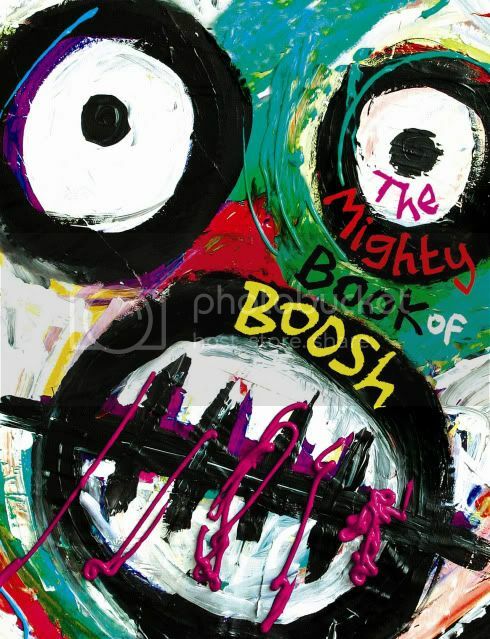 I can't wait for the Boosh to make it big in the US. I heard from Noel Fielding's agent that he and Julian Barratt will be coming to the US this summer. from one of my favourites, the sketch show. apparently lee mack and tim vine have a new show, anyone seen it? And Mrs Slcombe always talking about pussies..
so true. I always bust out laughing at that show. Love this one... is there a DVD? Little Britain is absolutely horrific. Hmm, have probably forgotten quite a few but those are the best off the top of my head. Ahh I forgot Peep Show! Everyone must go and watch Peep Show, now!